Fort Monroe is known as the largest stone fort constructed in the United States, as well as the last remaining active Army fort. The installation occupies 565 acres surrounded by a protective moat on Old Point Comfort, a strip of land adjoining the most southern tip of the Virginia Peninsula. 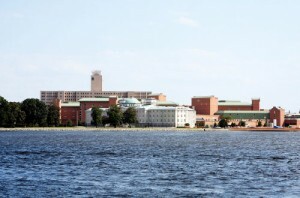 Fort Monroe and its surrounding area are historical gems, containing over 170 historic buildings, numerous wetlands, over three miles of beach, and eight miles of waterfront. The fort itself was declared a National Monument in 2011, an effort to further preserve its entrenched history as one of the nation’s first lines of defense. Fort Monroe became the first US strategic defensive fortification when Jamestown residents began using it for that purpose during colonial days. The area was later improved and in 1834 the expanded fortress was named after US President James Monroe. The fort played impressive roles in a number of wars. Failure to secure the area during the War of 1812 led to the eventual fortification an construction of the stone fort. During the Civil War, Fort Monroe played a role in a number of decisive battles and strategies. The first anti-submarine netting was used here in World War I and defenses were continued during World War II. Its modern purpose, however, has been to serve as an intensive operational and doctrinal training facility for the US Army. 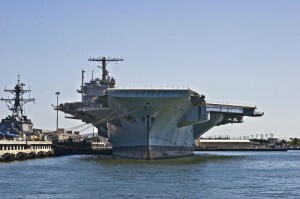 The Hampton Roads region has perhaps the richest military history in the nation. The region includes much of the Virginia Peninsula and some surrounding areas. Three military installments are immediately located in the area, including now Joint Base Langley-Eustis, Fort Monroe, and Fort Wool. Museums, theme parks, and outdoor recreation abound. For Civil War buffs, the Casemate Museum at Fort Monroe allows up-close examination of General Robert E. Lee’s quarters while he was stationed there, the prison cell that held Confederate President Jefferson Davis after his surrender, and the quarters occupied by President Abraham Lincoln during his visits to the base. The draw of Hampton Roads extends beyond history buffs, though. The area’s mild climate allows for the harbor to be available year-round for boating, sailing, and fishing. Hundreds of acres of nature preserves provide miles of biking, hiking, and horseback riding trails. Williamsburg provides a tremendous shopping experience and Virginia Beach is ideal for a weekend beach getaway. With its incredible military concentration, the Hampton Roads region is known for welcoming and accommodating soldiers and their families. Still, relocating is often a difficult process. Let Stone Realty help by making your transition a bit easier. While the Hampton Roads region offers anything the heart desires, Hampton, Virginia speaks for itself. 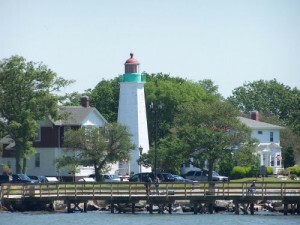 Fort Monroe is situated along the southernmost point of the independent town of Hampton. The town embodies the phrase “small town,” with a number of picturesque neighborhoods dotted throughout the area. It boasts an educational system honored as one of the best in the state and is also home to Hampton University. Within city limits are a number of golf courses, over 20 public parks, including two dog parks, hiking trails, and marinas. Hampton also offers diverse dining options, from upscale establishments to down-home southern comfort. For evening entertainment, take in a show at the Hampton Coliseum. From popular performing artists, to the Ringling Brothers Circus, to the annual Hampton Jazz Festival, there’s always something going on in Hampton. perfect neighborhood with the added benefit of a short commute. However, low-crime rates, a top-rated educational system, and every possible lifestyle amenity draw-in residents from every corner of the globe. Along with a diverse population, the Hampton Roads region has a number of diverse real estate offerings. Incredible coastlines mean that even waterfront homes can be acquired for lower-than-average prices. The areas closest to Fort Monroe are the Phoebus, Buckroe Park, Fordham, and Chesapeake Heights neighborhoods of Hampton. In these areas, nearly all properties are just a short walk to the coastline, if not already there. Single family homes are the prevalent style, and most are available for under $200k, many for under $100k. Condominiums with incredible views located directly on the beach are a bit pricier, and can be expected to come in around the higher $200k’s to the low $1M’s. However, only miles away, inland condos can be purchased at much more affordable prices, similar to that of an average single family home. With the market poised to quickly recover, prices are at an all-time low. That means now is the best time to buy. 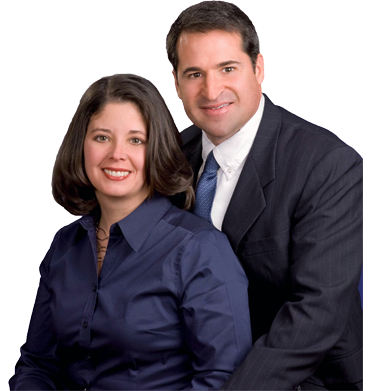 The team at Stone Real Estate Services are top Fort Monroe realtors. Their experience and dedication means they are the perfect option to help you find your new home. Whether you’re considering relocating, or have already been issued orders, the Stone Team is here to help soldiers and their families find the perfect combination of neighborhood, property, and value. Don’t lose your chance to become a part of the historic Hampton Roads region. Get started today by clicking on “home searches” at the top of this page, or by calling us at (757)-565-1043. We look forward to helping you find your perfect match!